The Old Globe has announced a special hour-long production of Shakespeare’s Twelfth Night set to tour San Diego County middle and high schools April 22 through May 17, 2013. The imaginative, fun and accessible production is an ideal introduction to the wonders of Shakespeare. It is now available for booking and will cost schools $500 for one performance and $400 for a second performance at the same school on the same day. Discounts and scholarships are available to Title One schools. The Globe’s tour of Twelfth Night, directed by Nelson Eusebio III, is part of Shakespeare for a New Generation, a national program of the National Endowment for the Arts in partnership with Arts Midwest. To book a performance, please email GlobeLearning@TheOldGlobe.org. Shakespeare’s tale of unrequited love and hidden identities will delight students and teachers alike and introduce students to theater with a top-quality production right in their own schools. It does not require a traditional stage so the show can be performed at any school regardless of the size of its performance space. In-classroom workshops are also available for schools wishing to help students explore the play more deeply and enhance the theater experience. The cast of Twelfth Night features Jason Frank (Sebastian, Maria, Officer), Jason Heil (Orsino, Sir Toby), Caroline Kinsolving (Olivia, Sir Andrew), Jason Maddy (Malvolio, Antonio, Priest), David McBean (Feste, Sea Captain) and Allison Spratt Pearce (Viola). The creative team includes Sean Fanning (Scenic Design), Shelly Williams (Costume Design), Kevin Anthenill (Sound Design) and Leighann Enos (Stage Manager). The Old Globe is one of 42 professional theater companies selected to participate in Shakespeare for a New Generation, bringing the finest productions of Shakespeare to middle and high school students in communities across the United States. This is the tenth year of Shakespeare for a New Generation, the largest tour of Shakespeare in American history. The Globe’s touring production of Twelfth Night is just one of the theater’s education programs designed to enrich the lives of San Diego students. The Globe provides thousands of free tickets each year to area students to see special matinee performances of its productions. Young actors in the Middle School Conservatory take part in a three-week program of intense acting study with professional teaching staff, and the Summer Shakespeare Intensive invites high schoolers to rehearse and perform 50-minute versions of Shakespeare plays on the outdoor Lowell Davies Festival Theatre. Globe Honors gives talented teens the opportunity to compete with monologues, songs and portfolios before a live audience and a panel of judges. Winners receive scholarships to help further their training and may be eligible to participate in the National High School Musical Theatre Awards in New York City. 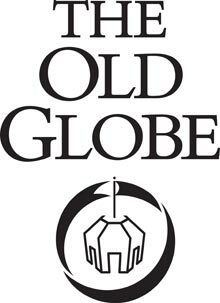 For more information about the Old Globe, visit www.theoldglobe.org.